The organizers of the International Bowling Championships 2013 supported by DHC have announced that the tournament will become a "Major" on the 2013 World Bowling Tour organized by the World Tenpin Bowling Association (WTBA). "Major" status will be granted for premium tournaments with no less than US$200,000 prize fund. Double ranking points will be awarded in all "Majors". 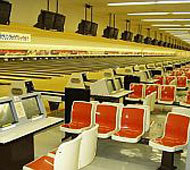 The International Bowling Championships 2013 will be the lone WBT "Major" outside the United States. Other "Major" candidates are the USBC Masters, US Open, WTBA International Open and World Championships. 137 men and 119 women will bowl in separate divisions for total prize fund of 30 million Japanese Yen or approximately US$375,000. The men's and women's champion will each receive the JPY6,000,000 top prize (approx. US$75,000). Second place is 3,000,000 Yen, third place 1,500,000 Yen and fourth place 800,000 Yen. 10 million Yen or approx. $125,000 USD will be awarded for EVERY 300 game in the TV eliminator finals. Another 200,000 Yen (US$2,500) and 100,000 Yen (US$1,250) each go to the men's and women's winner and runner-up, respectively, of a one-game Baker match between the best three local bowlers and the best three international bowlers who are not qualified for the TV finals. All prize money is subject to 20 per cent tax. To view the total prize fund, please click here (pdf file). The eight qualifying squads for international bowlers and the main event will be held from Jan. 15-19 at Inazawa Grand Bowl, the biggest bowling center in the world on one floor (according to the Guinness Book of World Records) whose 116 Brunswick Pro Lane™ synthetic lanes span 91,494 square feet without any pillars. The venue for the qualifying finals for local bowler is Nagoya Grand Bowl, the biggest bowling center in the world by number of lanes staring 156 lanes on three floors. The main event runs from Jan. 17-19. The 137 men and 119 women bowl three blocks of three games with the top 24 players advancing to the semifinals. Following another two blocks of the three games, the top 5 players based on the 15-game total advance to the TV eliminator finals. In case there is no local bowler among the top 5 in each division, the best local bowler will be seeded fifth. The five men and five women will meet in the live NHK BS1 finals Saturday, Jan. 19, 2013 on temporary lanes installed at Inazawa Grand Bowl. All players bowl one game with the lowest two players eliminated. The remaining three players will bowl a second game, with another player eliminated. The two survivors will then bowl for the title and the US$75,000 first prize.